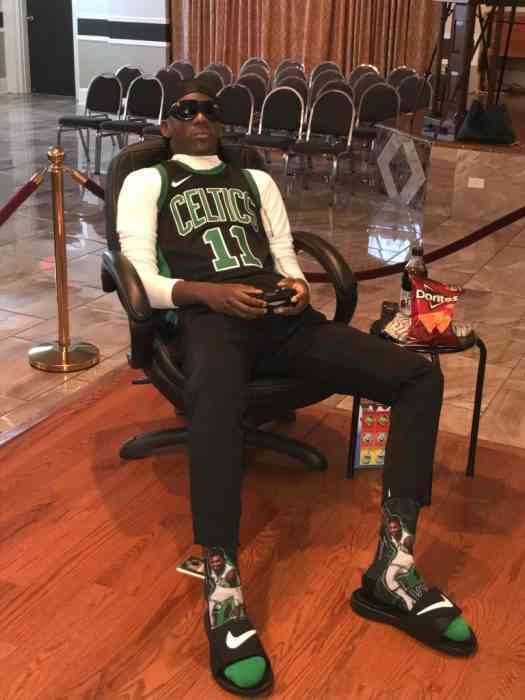 The family of a teen who was shot and killed back in June found a unique way to honor him at his wake: setting up his body to make it seem as if he was playing NBA 2K. Renard Matthews, 17, was fatally shot in New Orleans, Louisiana on June 25th, according to the local police. According to his family, he loved junk food and playing NBA 2K. He was also a fan of Boston Celtics point guard Kyrie Irving. At his wake, a television that displayed an automated 2K match between the Celtics and the Golden State Warriors was put in front of Renard. According to what his mother, Temeka, said to a local news outlet, Renard didn’t go outside much but started to leave their home more once she got him a dog to walk. A relative and a neighbor of Renard’s family both described him as a good young man who came from an upstanding family. The New Orleans police currently haven’t publicly disclosed any motive or identified any suspect for the shooting that lead to Renard’s death. You can let us know your thoughts and opinions on this story in the comments section below.